A clear and thorough introduction to techniques and practice issues, as well as basic theoretical frameworks, for beginners. Psychoanalysis is not so much skill-based, as dependent upon the development of the analytic attitude, guided by principles of technique that are used in the clinical situation. Alessandra Lemma's accessible guide has been based on her long experience of teaching trainee practitioners. It includes discussion of interventions and the possible dynamics associated with the different stages of therapy: assessment, beginnings, middle and end phases of therapy. It exposes the rationale underlying a range of interventions and discusses research evidence where relevant and available. Introduction: Psychoanalysis in the Twenty-First Century. 1. 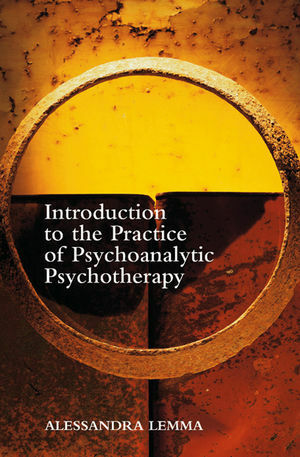 An Overview of the Schools of Psychoanalysis: Theory and Practice. 2. The Process of Psychic Change. 3. The Analytic Frame and the Analytic Attitude.